Does root pruning really help? Research shows that root pruned live oaks had a 6-fold increase in the density of fine roots in the root ball. 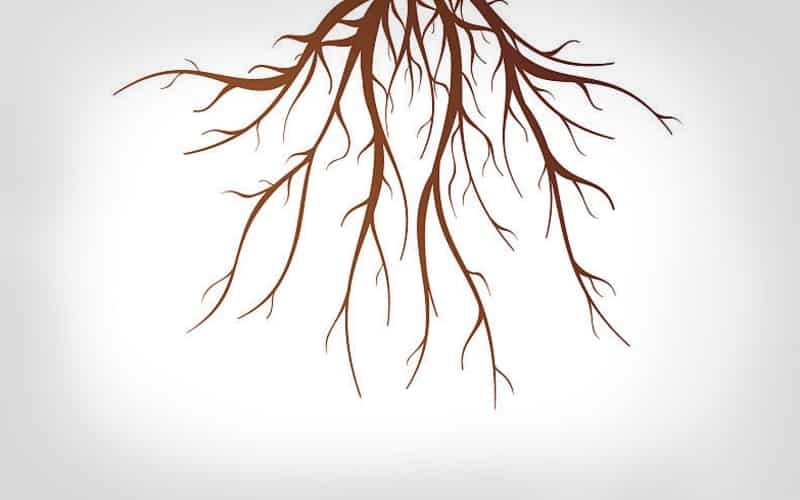 However, root pruning is only beneficial if done at the right time and in the right location so that roots have started regenerating and are inside the harvested root ball. How do you avoid circling roots? Circling or deformed roots are formed when a tree is grown for too long in a container. Research has shown that deformed roots can have a long term effect on the health and stability of the transplanted tree. Circling roots in the top portion of the root ball could, as the tree and root grow, eventually girdle the tree. Products designed to control root circling such as copper compounds and air-pruning containers have proven to reduce, but not eliminate, the problem of circling roots. Field-grown trees are grown without the use of a rigid container, therefore, the root system develops a more natural form. Do B&B trees lose the majority of their root systems at harvesting? Research has found that field-grown oaks and hollies have 80% of their entire root system weight when they are harvested. Research has shown that roots begin regenerating as soon as one week after being cut. Therefore, by the time it is shipped, a properly hardened off field-grown tree has already begun to replace any roots that were removed at harvesting.